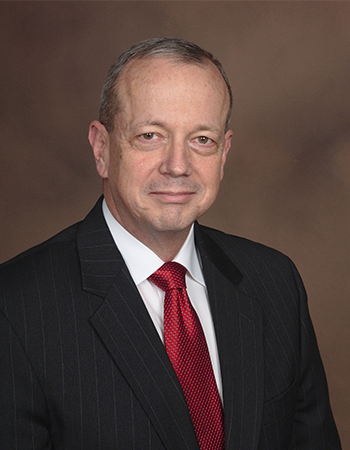 John R. Allen is a retired U.S. Marine Corps four-star general and former commander of the NATO International Security Assistance Force in Afghanistan. Prior to joining the Brookings Institution as Senior Fellow and Co-director of the Center for 21st Century Security and Intelligence, Allen served as Special Presidential Envoy to the global coalition to counter ISIL, a position he held for 14 months. Immediately following retirement from the Marine Corps, Allen was the senior advisor to the Secretary of Defense on Middle East Security, and in that role he led the security dialogue with Israel and the Palestinian Authority for 15 months within the Middle East peace process. Following retirement, and among other activities, General Allen has become affiliated with The Middle East Institute, The Washington Institute for Near East Policy (TWI), and the Atlantic Council of the United States (ACUS), and Royal United Services Institute (RUSI). He is a Senior Fellow at the Merrill Center of the Johns Hopkins School of Advanced International Studies and is a Senior Fellow at the Johns Hopkins Applied Physics Laboratory. He is a permanent member of the Council on Foreign Relations (CFR). In recognition of his work as Special Presidential Envoy to the Global Coalition to Counter ISIL, he was presented by Secretary John Kerry with the Department of State Distinguished Honor Award and by Director James Clapper with the Director of National Intelligence National Intelligence Distinguished Public Service Award. Consider underwriting the Gala as a corporate or private sponsor. Sponsors will receive tickets to the event and recognition in print and online materials. Download our Sponsorship Commitment Form for details. We are looking for unique gift baskets, certificates, and experiences to auction off at the Gala. In return for your donation, you’ll receive a tax-receipt for the value of your contribution and recognition in print and online event materials. Tickets for the Gala are now on sale. We sincerely hope that you can join us for this evening of celebration at the beautiful Watergate Hotel in Washington, DC. Please contact Sarah Hollis at sarah.hollis@amarfoundation.org with questions.